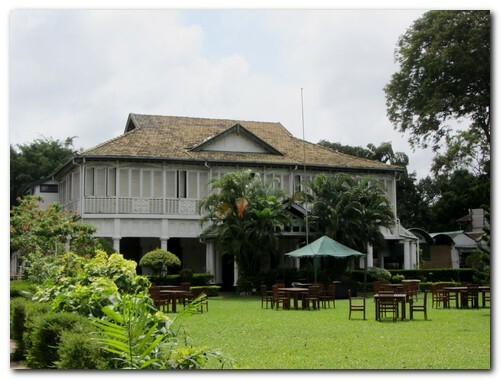 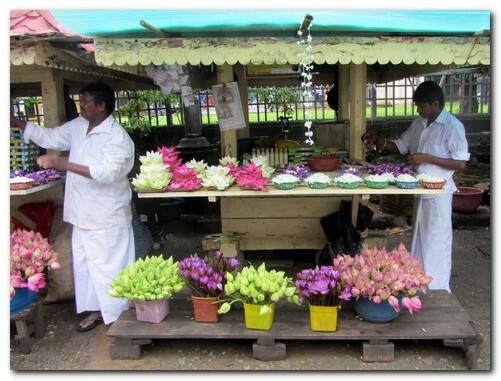 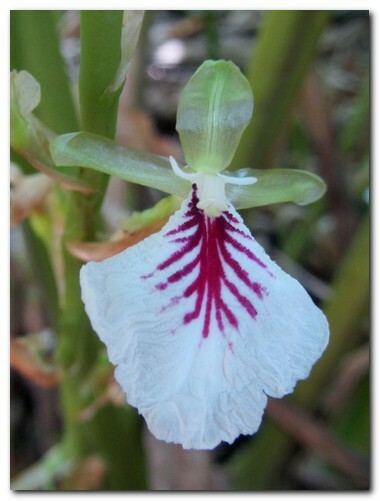 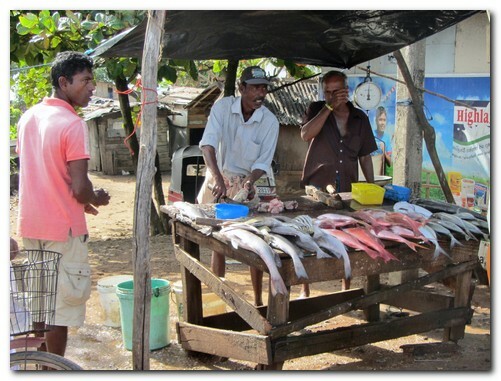 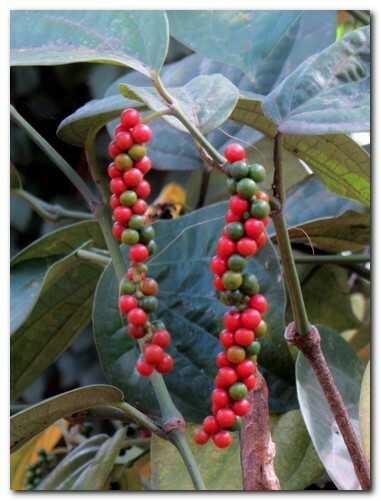 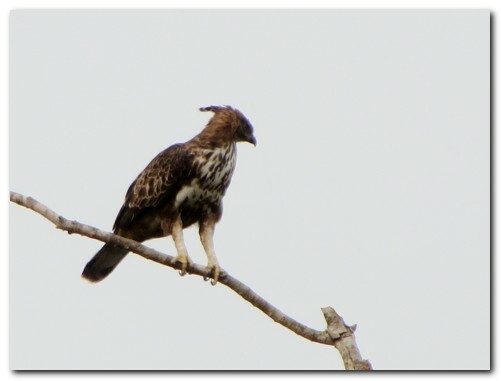 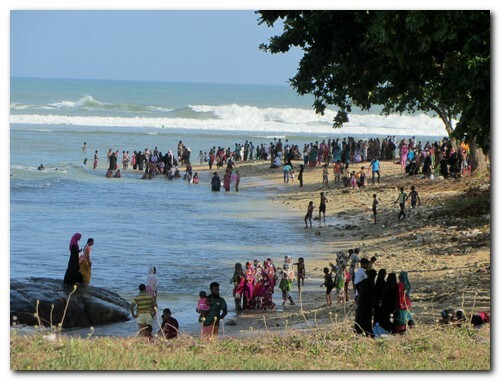 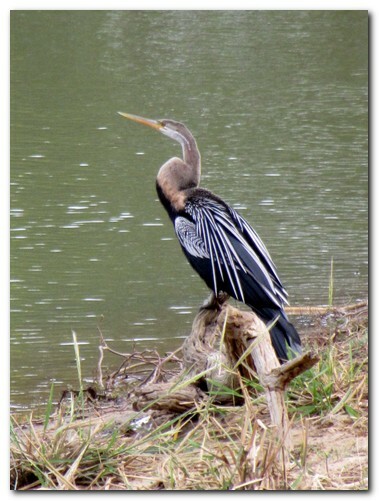 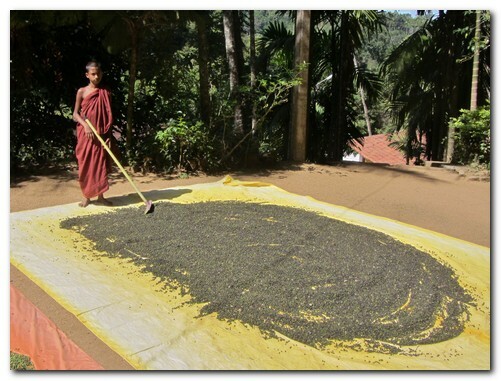 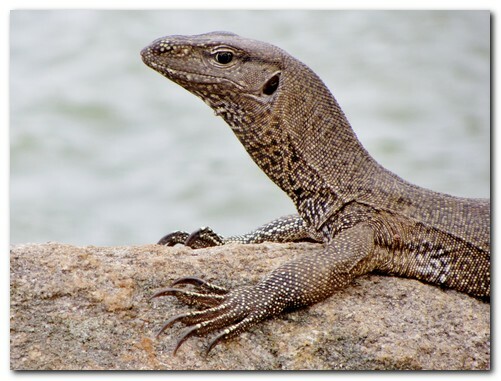 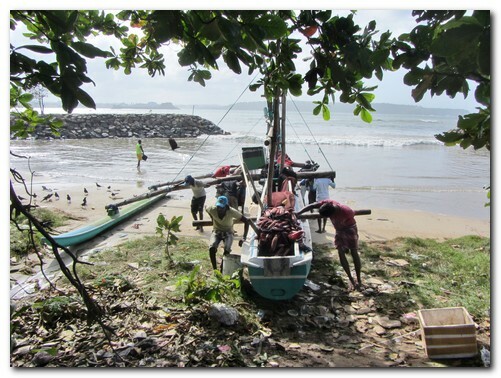 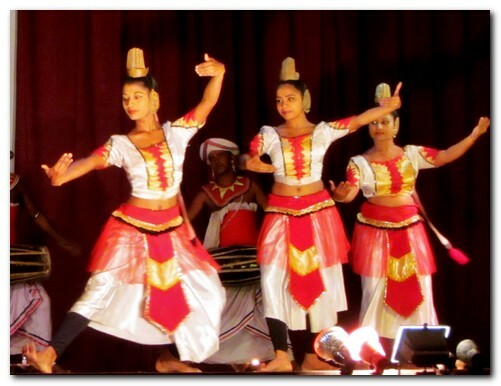 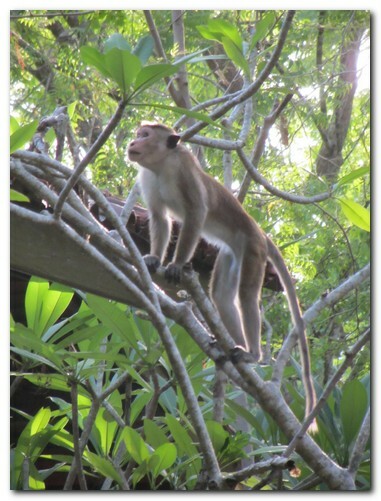 Sri Lanka – Escaping the Brisbane winter! 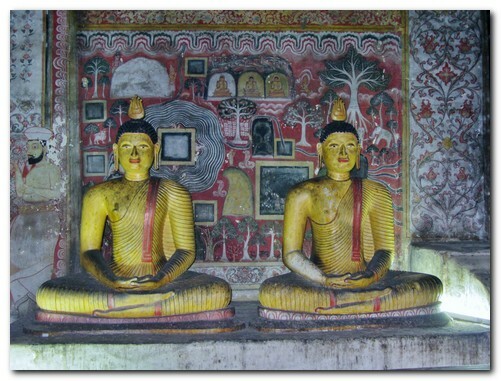 From Singapore we flew into Colombo on Tiger Airways. 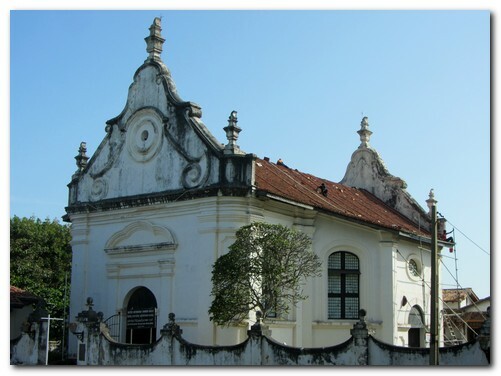 Anton our guide/driver met us and drove to nearby Negombo which retains much of the Portuguese & Dutch influence with canals and Catholic churches. 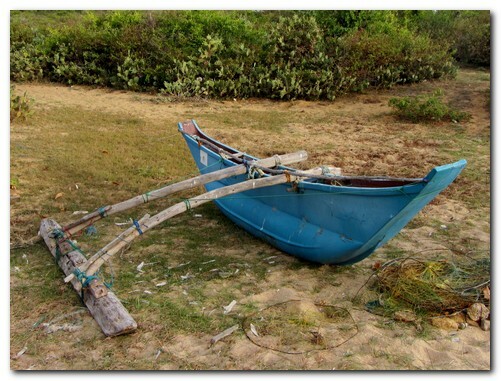 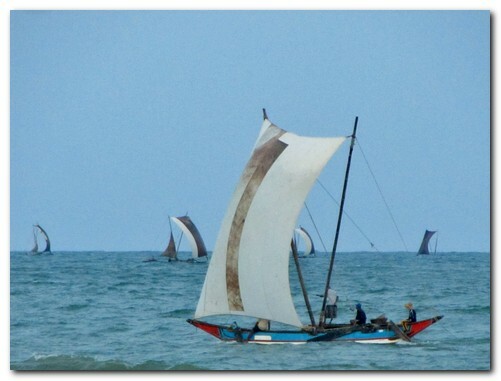 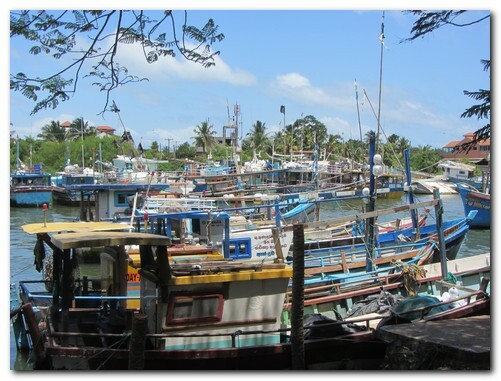 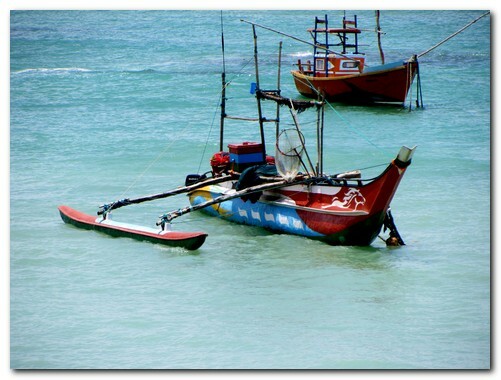 Hundreds of traditional sailing canoes, carved from a single large log, still fish in the Indian Ocean and bring their catch to the active fish market. 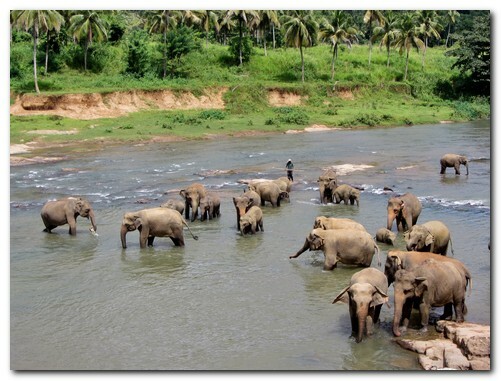 Next day we were delighted by the antics of the elephants bathing in the river at the Pinnawala Elephant Orphanage about 2 hours drive north of Negombo. 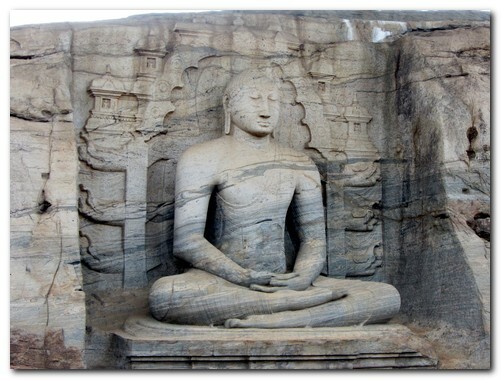 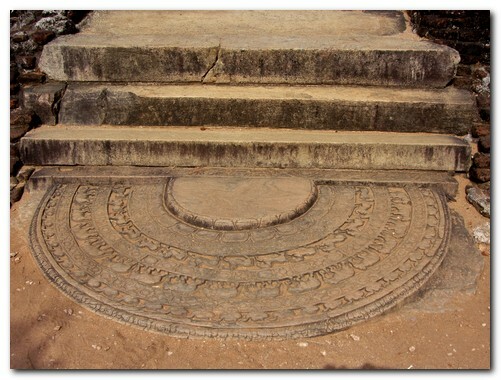 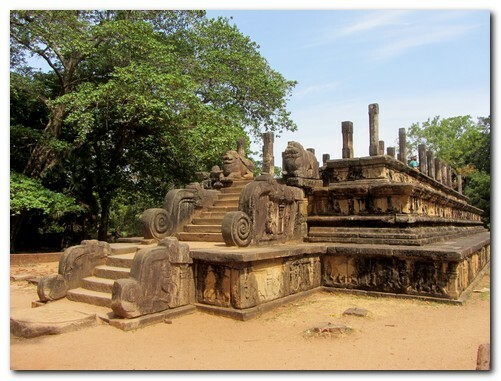 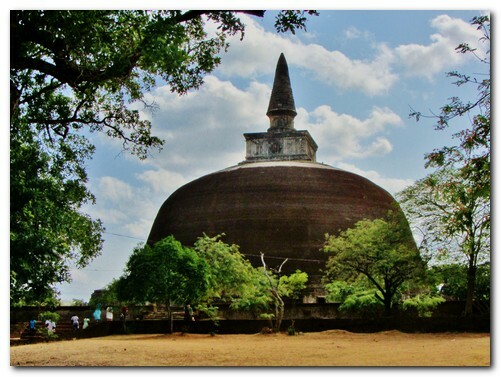 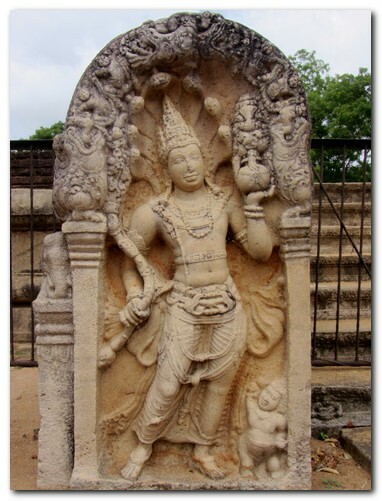 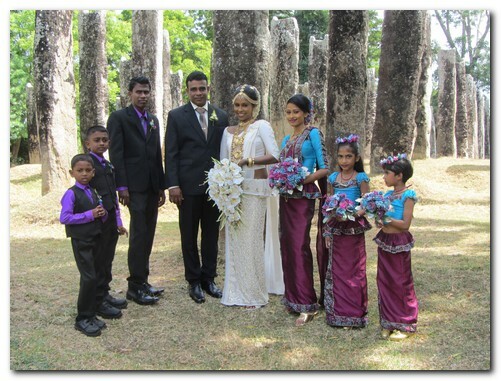 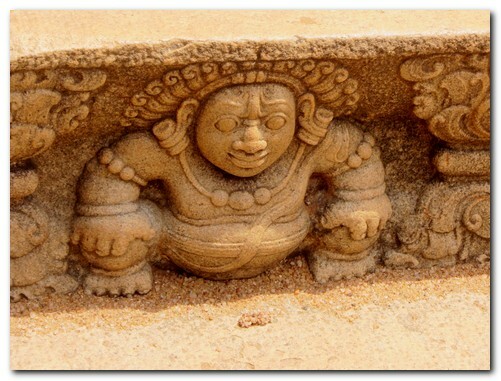 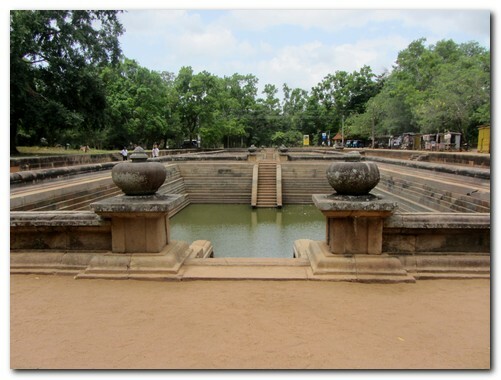 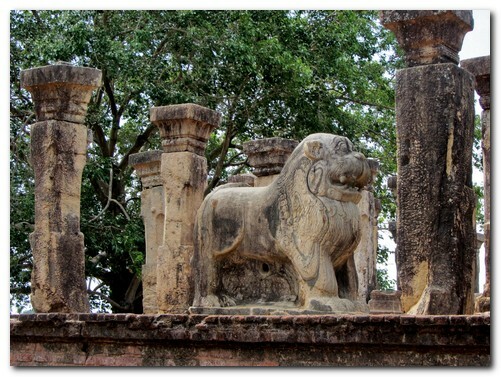 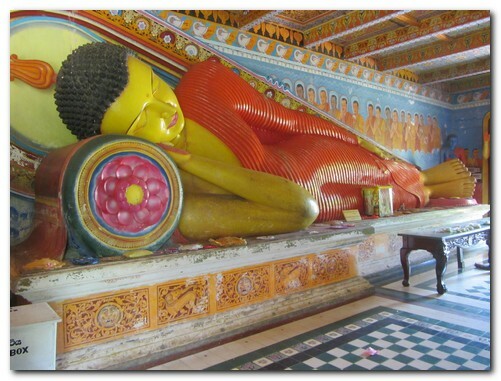 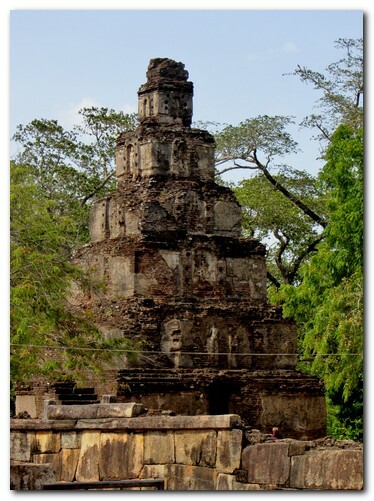 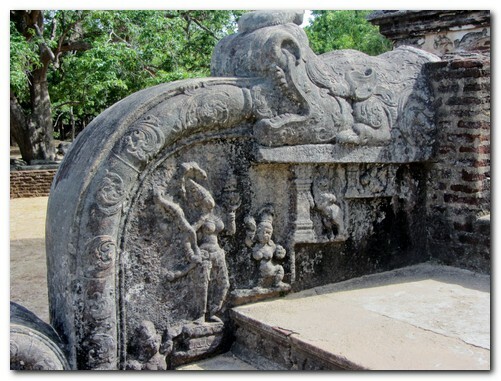 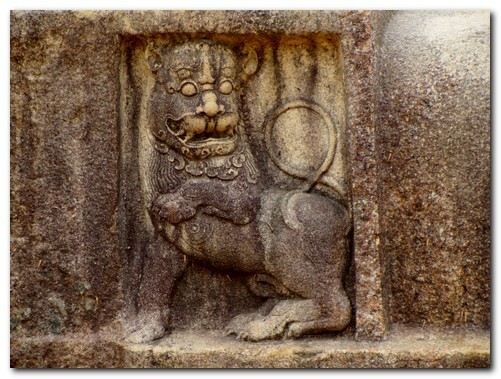 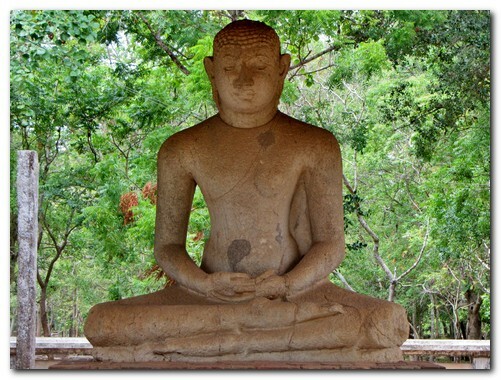 Anuradhapura was the first ancient kingdom and capital of Sri Lanka. 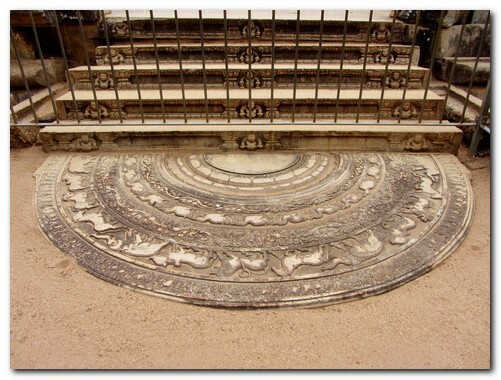 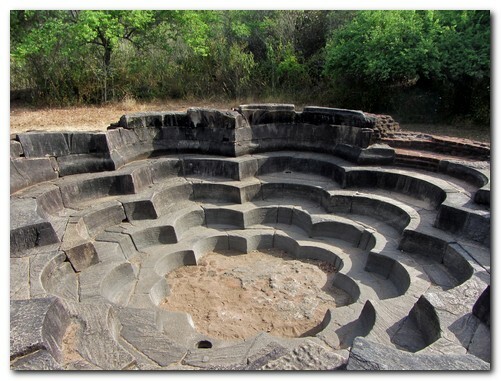 It prospered from about 300BC until 1100AD. 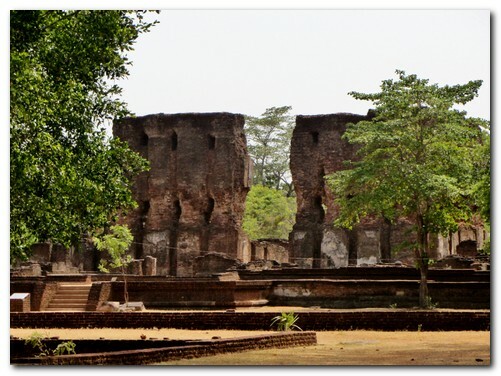 By 500AD, 5000 monks lived here. 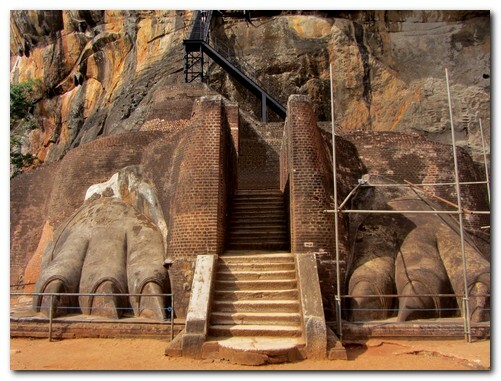 The scale of this UNSECO World Heritage listed site is incredible. 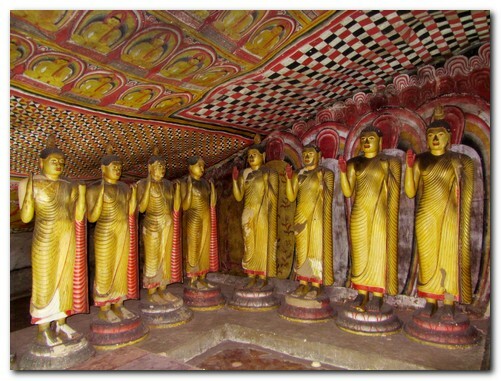 We spent hours exploring the stupas, Buddhist shrines and monuments. 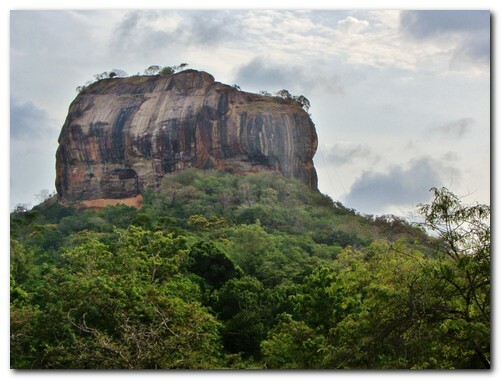 Sigiriya, known as the “Fortress in the Sky” was built into a city complex about 500AD when the king moved from Anuradhapura. 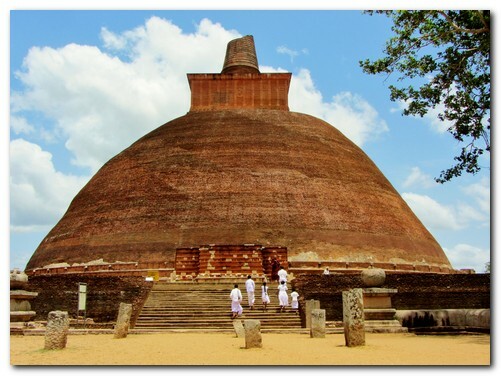 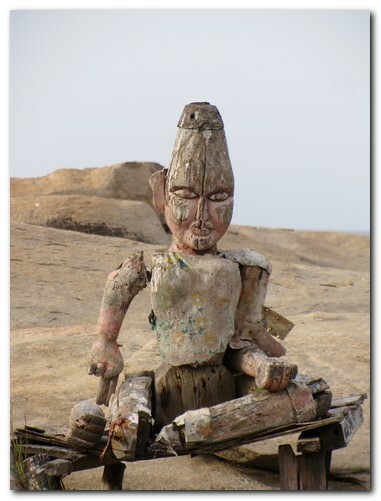 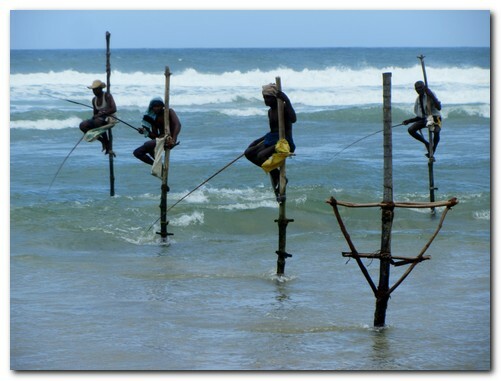 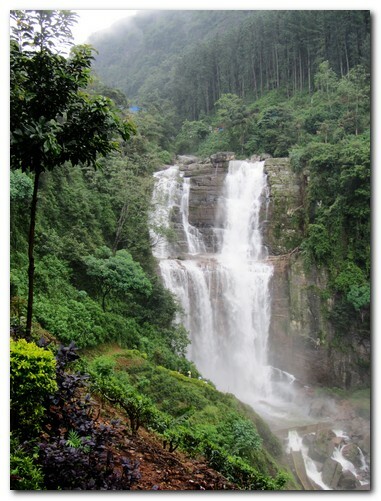 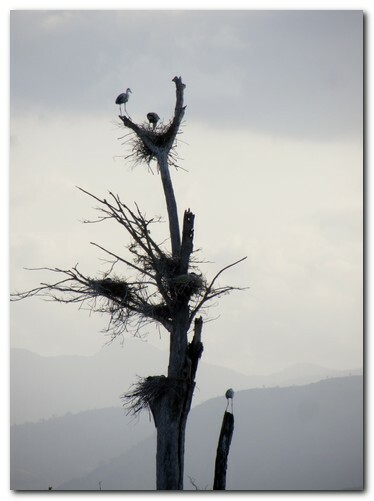 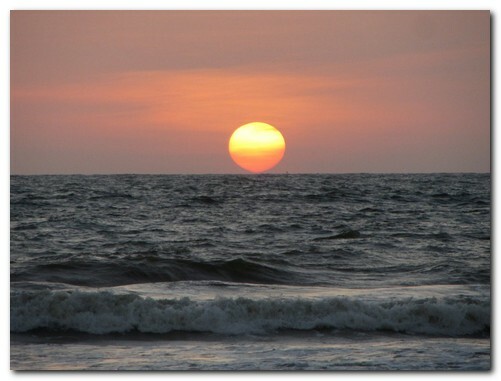 It is another UNSECO World Heritage site and a “must see” for every visitor to Sri Lanka. 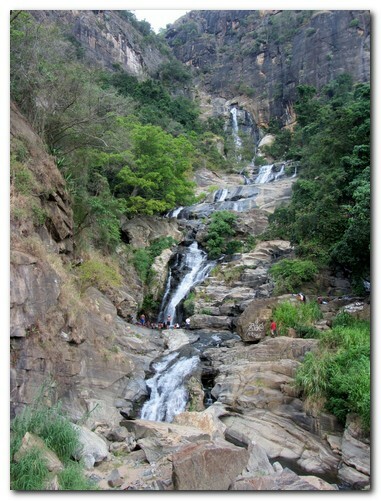 It took us about an hour to climb to the top. 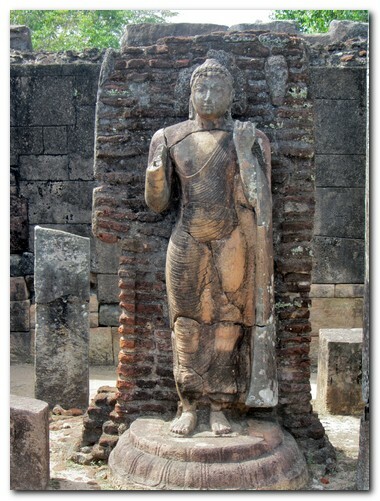 Polonnaruwa, the second Kingdom of Sri Lanka (after Anuradhapura), had its Golden Age in the 12th century AD, an era where trade and agriculture was at its peak. 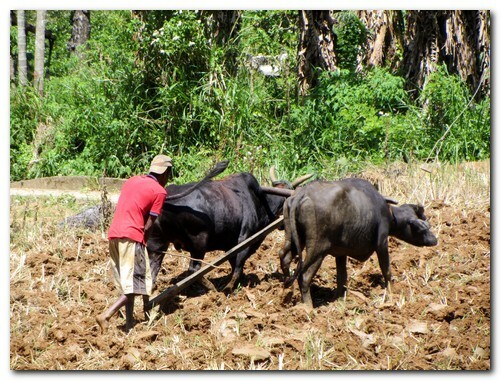 We arrived in the scorching hot dry season. 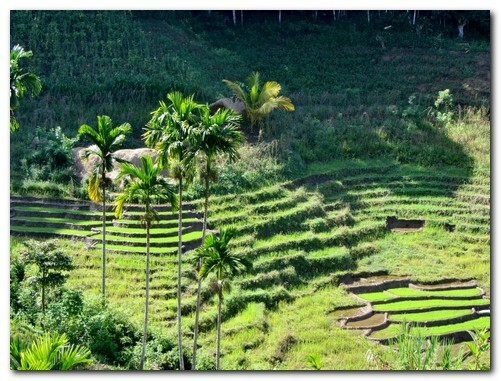 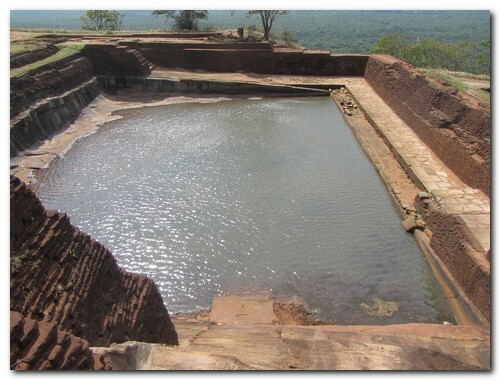 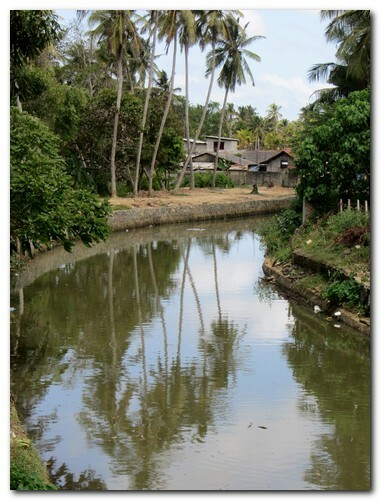 The 1000 year old irrigation systems are still functioning to supply the water for rice cultivation throughout the year. 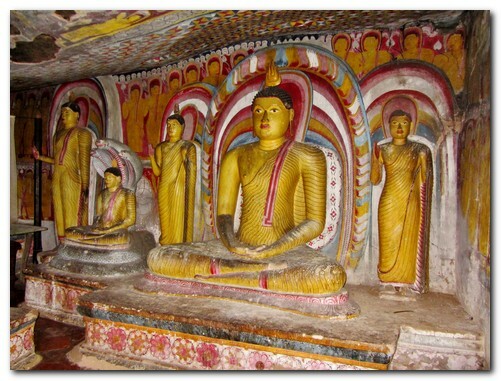 The Dambulla Cave Temple is part of theUNESCO Heritage Cutural Triangle of Sri Lanka and is encrusted into a large rock which sits more than 160m above the surrounding land This ancient complex was initially established in 3rd Century BC. 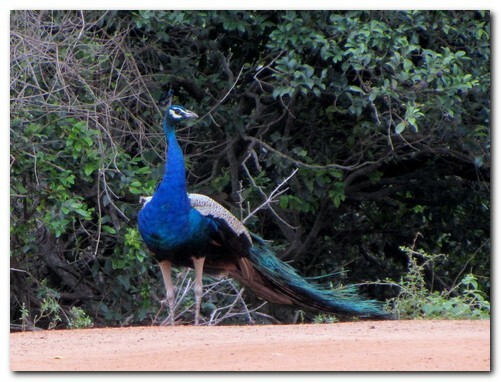 We were awed. 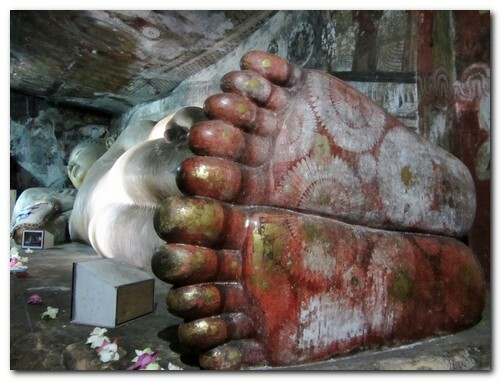 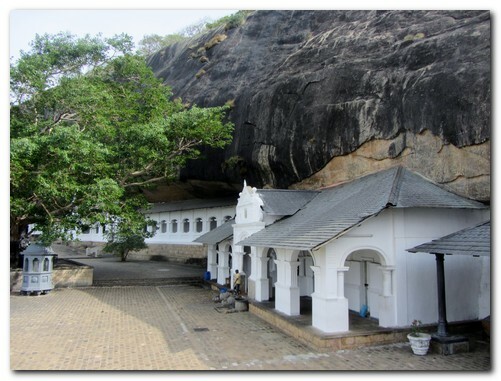 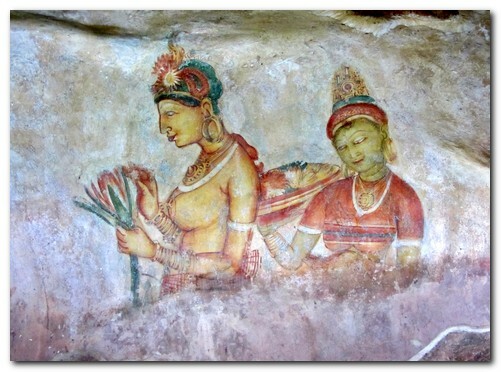 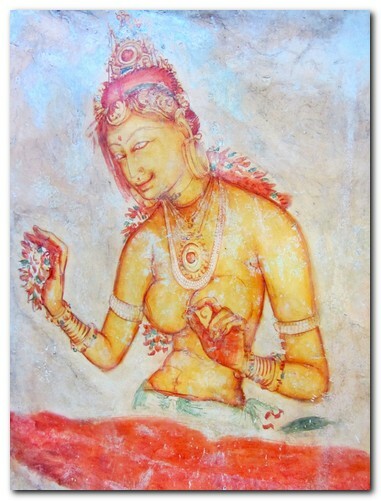 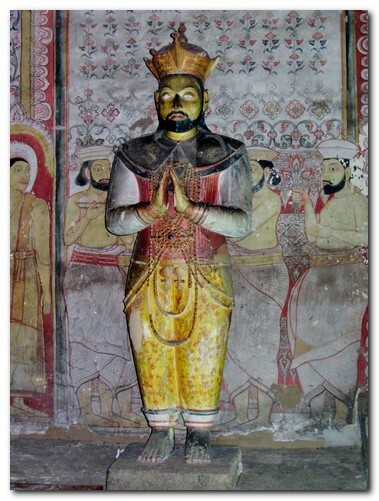 It is truly a wonder – the largest and best preserved cave temples in Sri Lanka; home to numerous religious and cultural paintings and sculptures. 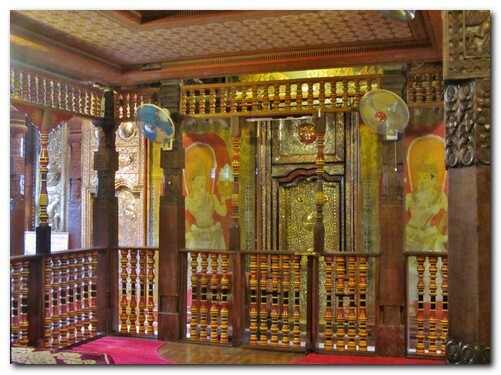 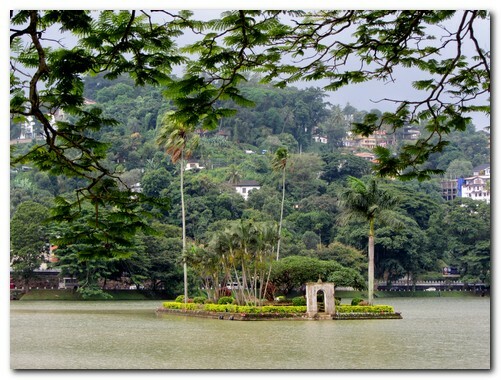 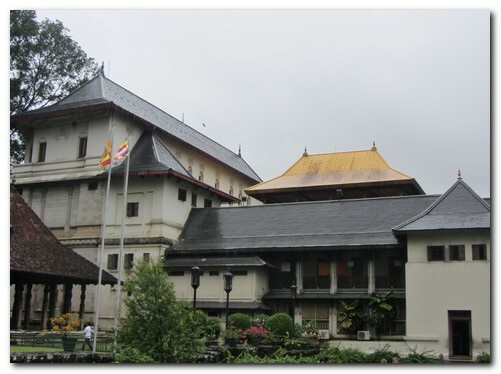 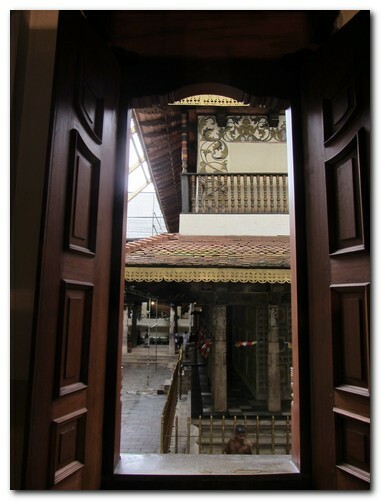 The Temple of Tooth Relic is located in Kandy, the second largest city in Sri Lanka. 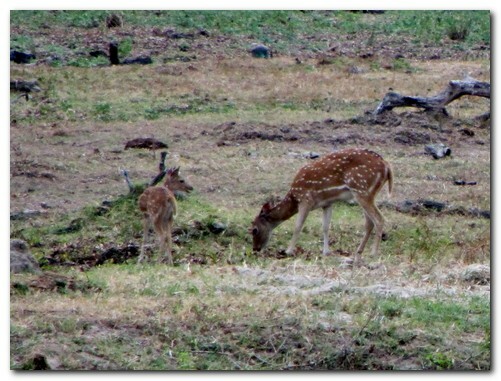 At 500 meters above sea level it rains a lot, in contrast to the hot dry northern plains we just left behind. 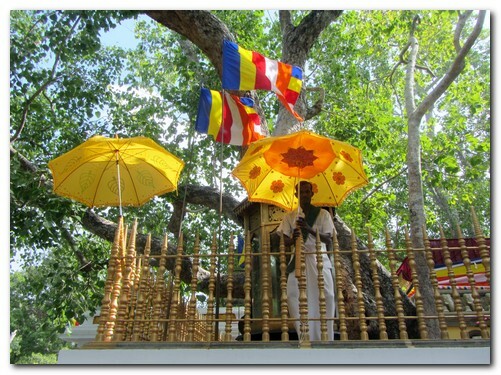 The Tooth Relic, one of Buddha’s teeth snatched from his funeral pyre, is one of the most venerable places for the Buddhists of Sri Lanka and all around the world. 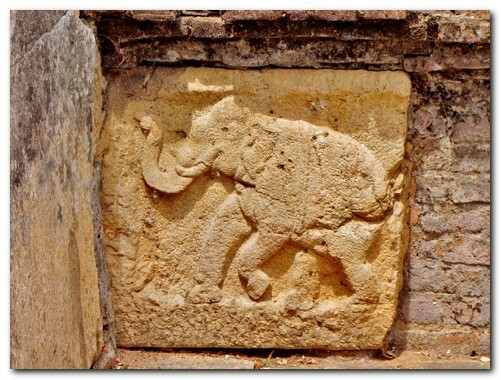 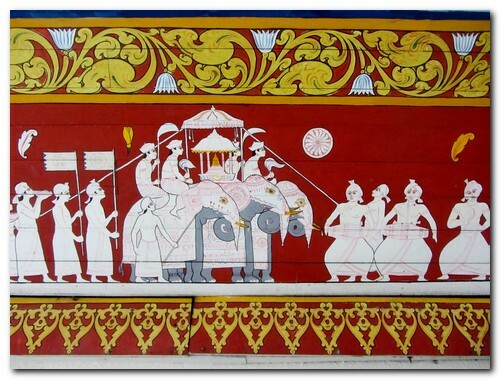 Unfortunately we missed the annual Esala Perahera (the festival of the tooth) where the Relic is paraded on elaborately decorated elephants through the city. 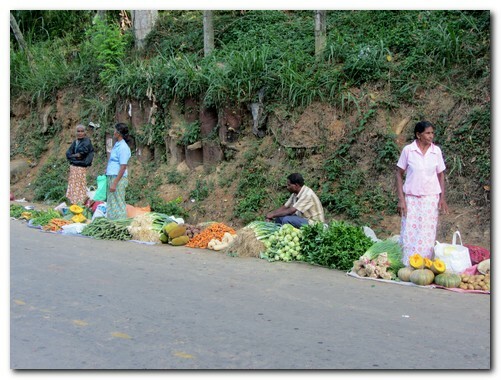 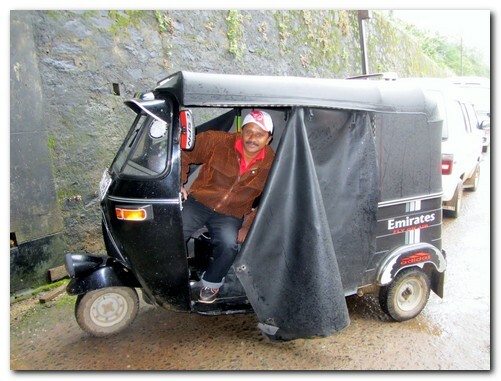 Our trip through the Sri Lankan hill country started at Kandy (500m). 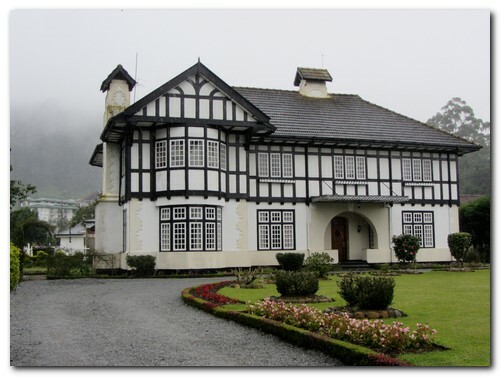 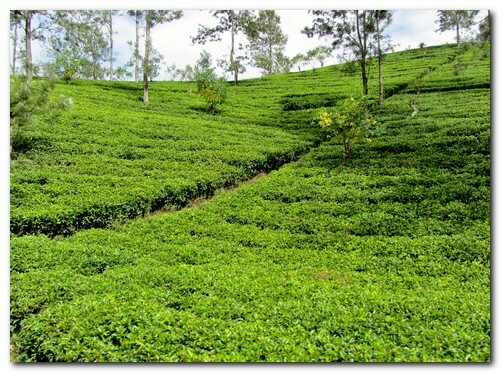 We climbed through soft rain and fog to the cold Nuwara Eliya (2000m), stopping en-route to visit a tea factory and enjoy a nice cup of tea – complicated business this tea processing. 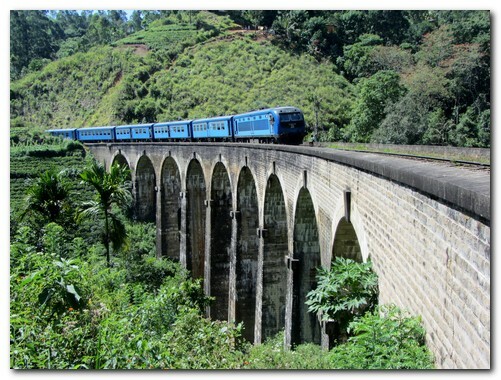 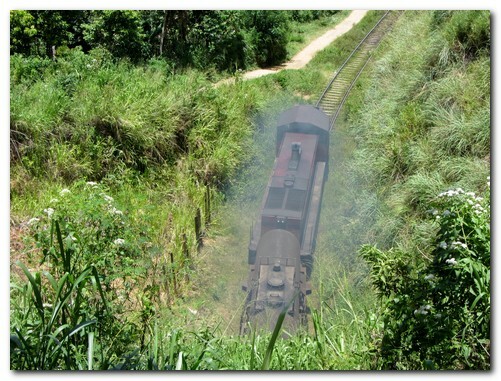 From Nuwara Eliya to Ella (1100m) we travelled by train. 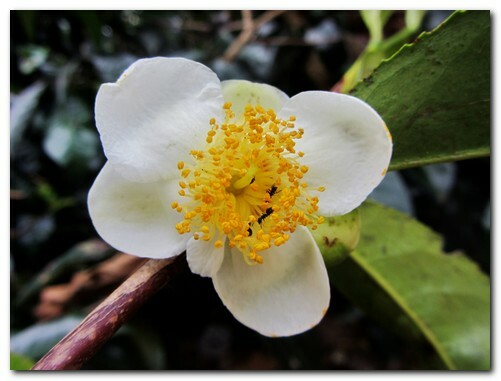 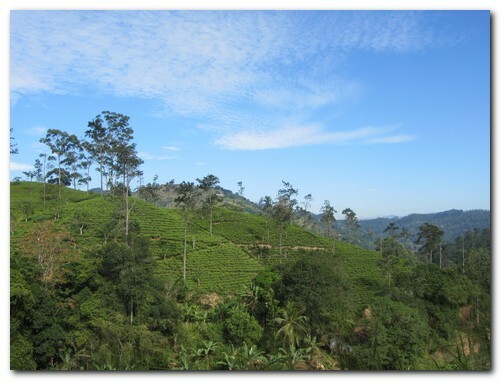 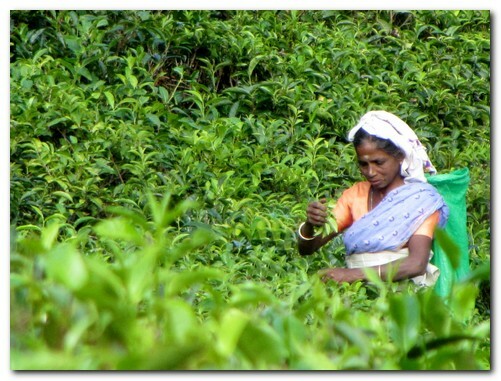 As we descended, the weather cleared allowing views of the tea growing plantations. 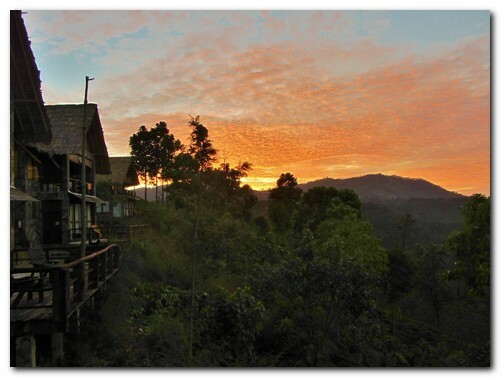 For 2 days we stayed at the new 98 Acres Resort, built on top of a hill in the middle of a tea plantation. 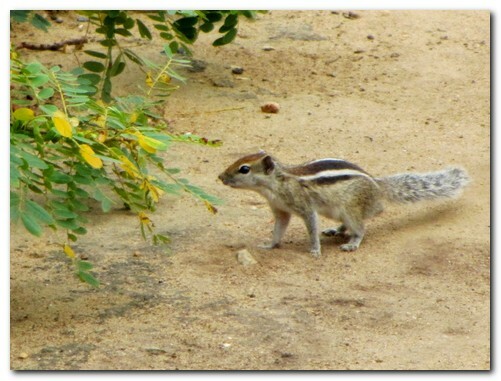 It was very quiet with wonderful views from our balcony. 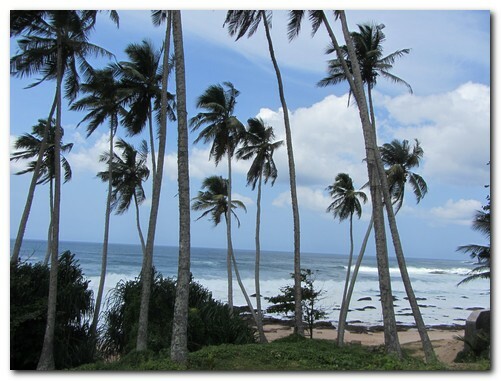 We enjoyed this place. 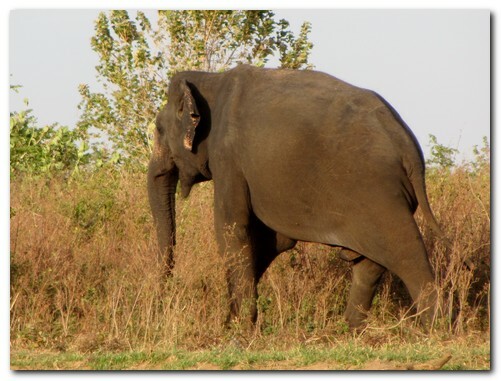 We walked a few kilometers from Ella along the railway track in time to see the train crossing the 9 Arch Bridge, then walked another couple of kilometers to Demodara where the track makes a 360 degree turn. 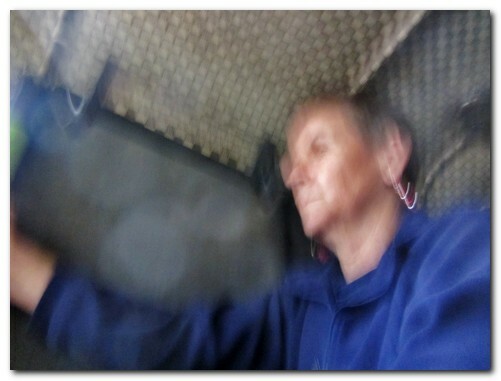 We caught the old rattler back. 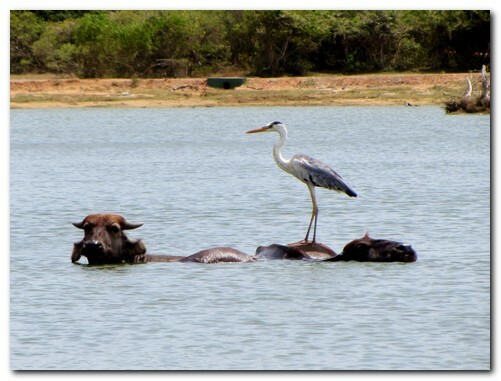 … It was a bit bumpy! 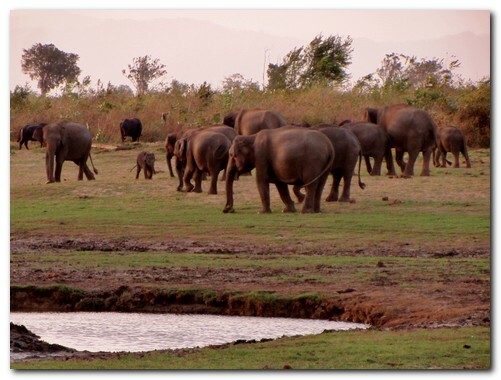 After a steep descent from the hill country we arrived at the 30,000 hectares Udawalawe National Park (200m), an ideal place to view elephants at close range. 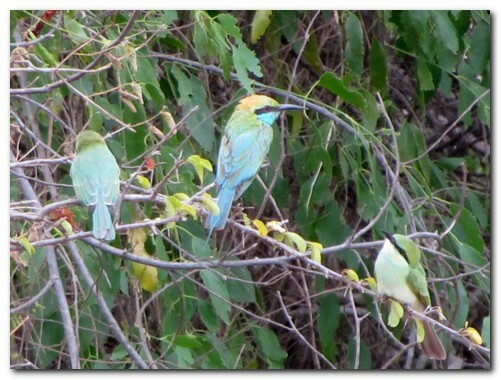 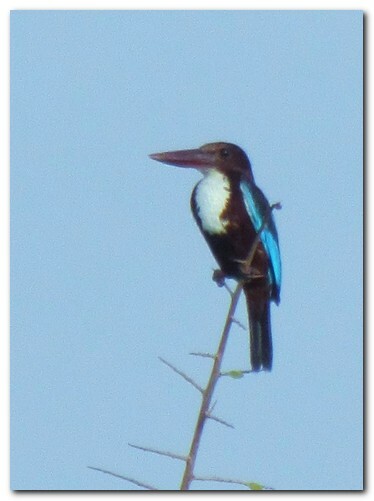 In our first 15 minutes in the park we spotted two herds of elephants, a jackal, peacocks, buffalo, a crocodile and a pair of bright green parrots. 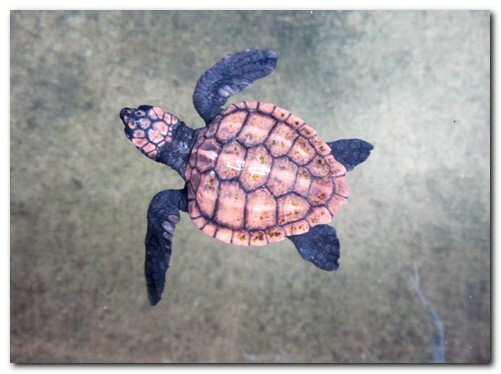 Off to a good start! 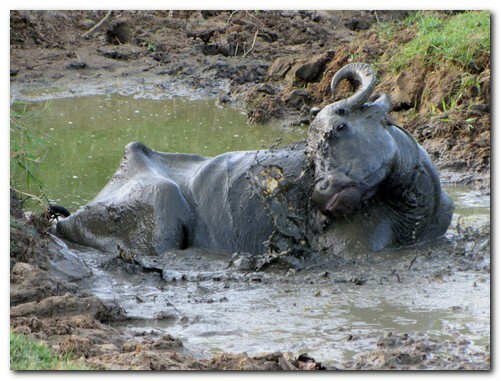 This old bull was not friendly! 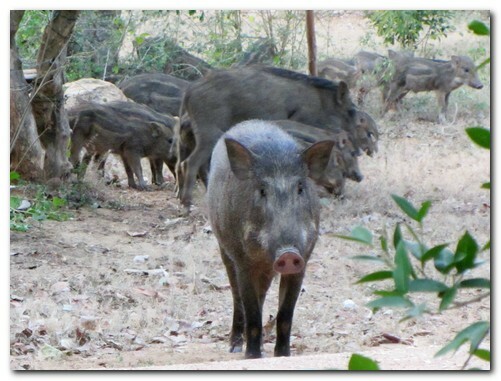 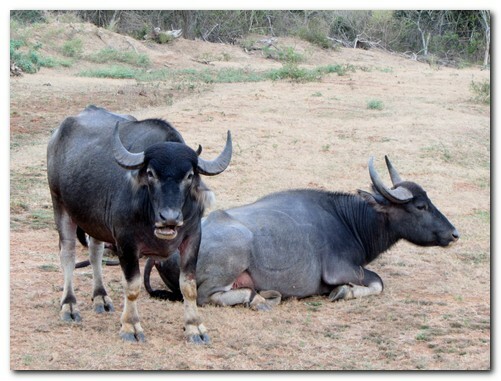 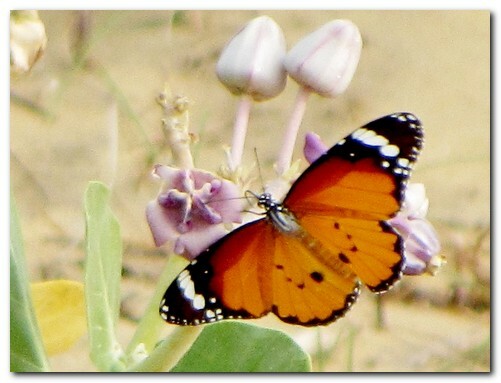 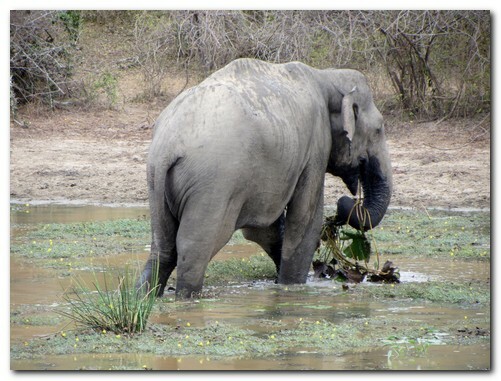 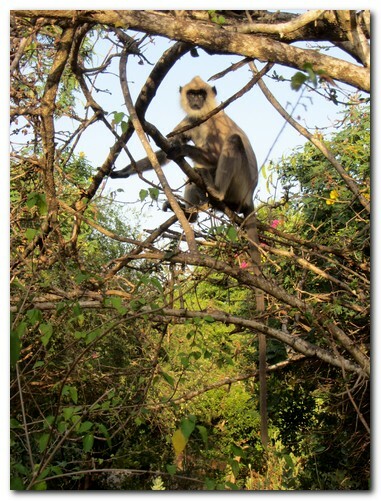 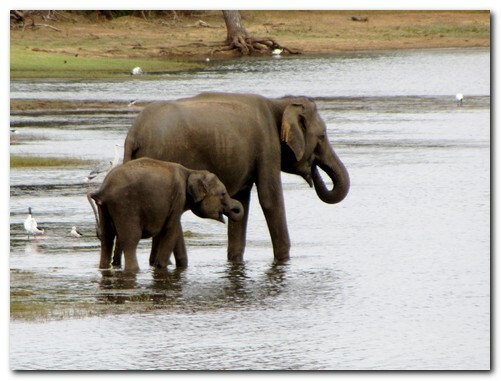 Yala National Park is the second largest National Park in Sri Lanka. 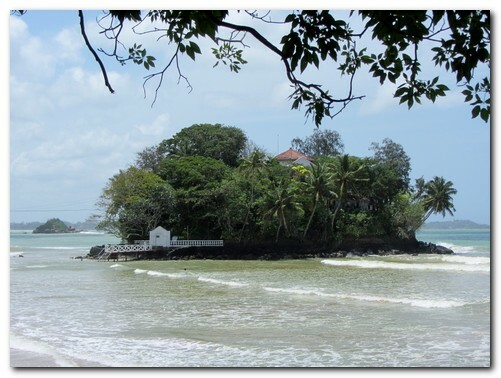 It sits on the Indian Ocean to the South East on Sri Lanka and contains the highest density of leopards in the world. 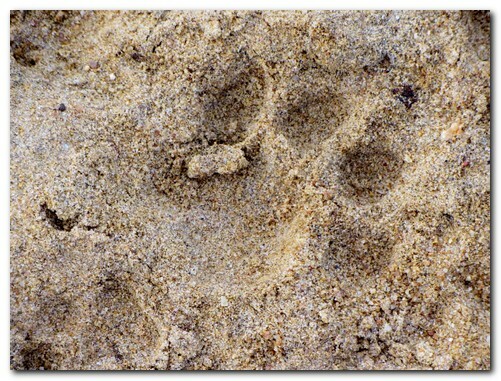 We didn’t see any leopards, but on an early morning walk we spotted tracks of elephant, bear and leopard all within 50 metres of our hotel – maybe that is why you need a guard to take you from your cabin to the dining room after dark! 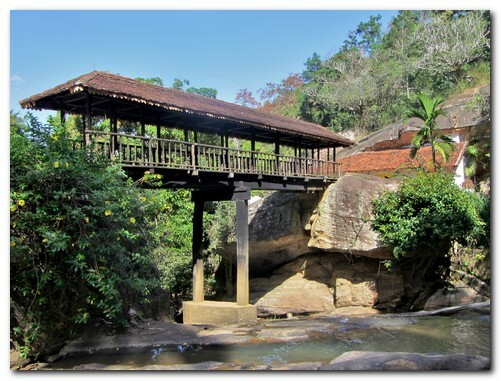 We were there in the hot dry season. 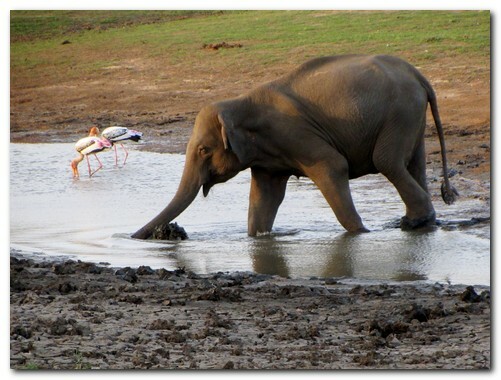 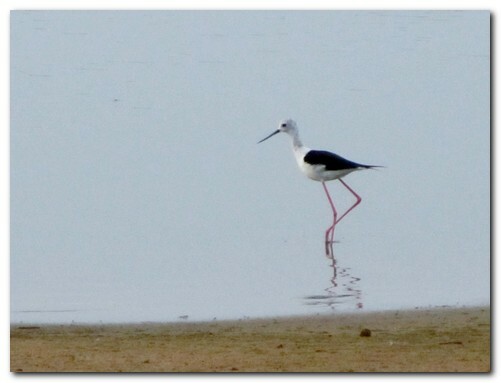 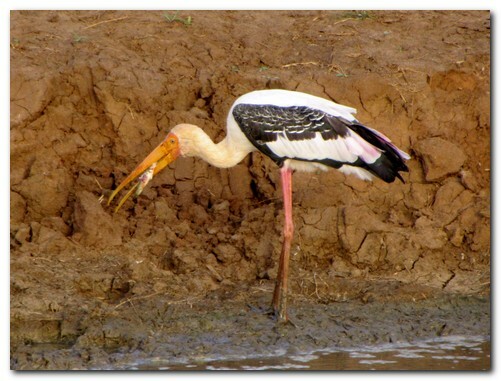 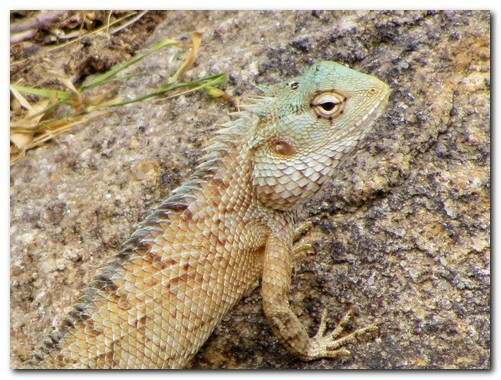 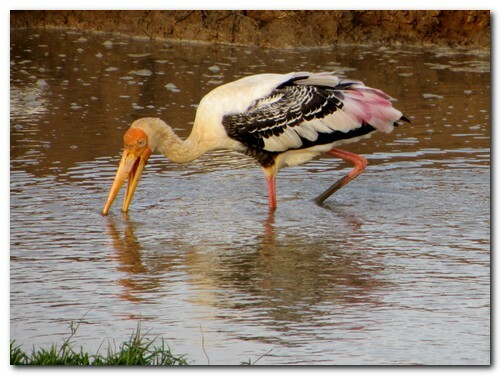 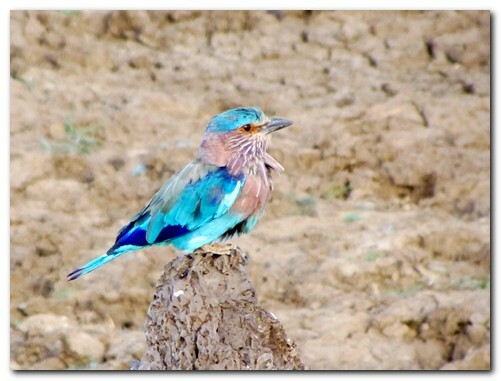 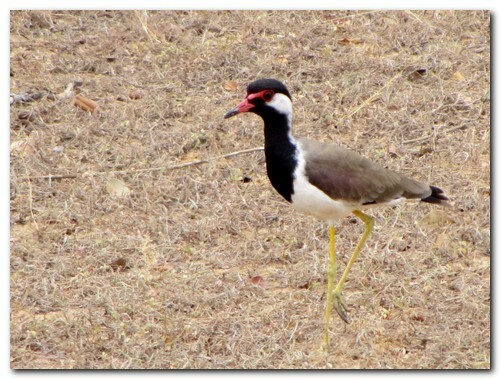 Many birds and mammals are drawn to the few remaining waterholes. 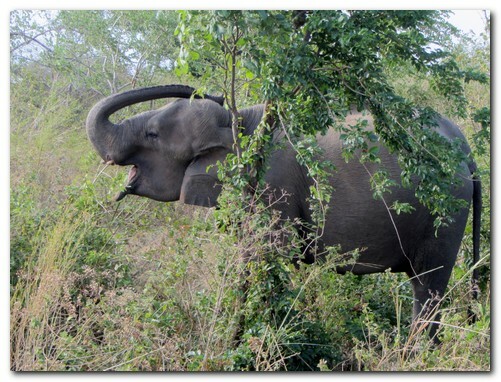 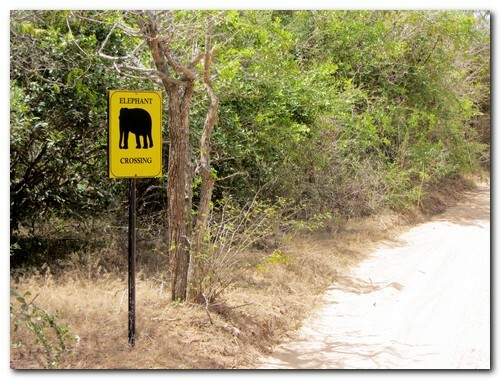 Beware of elephants when entering the Chaaya Wild Hotel in the Yala NP – run if you see one! 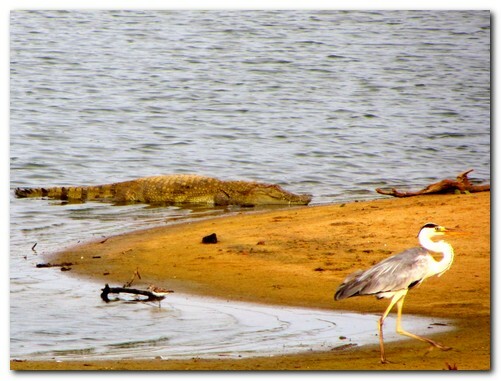 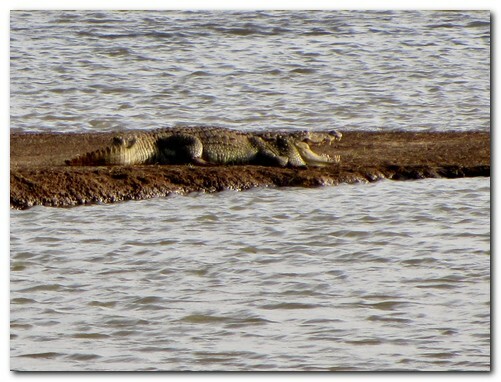 The croc has his eye on the heron! 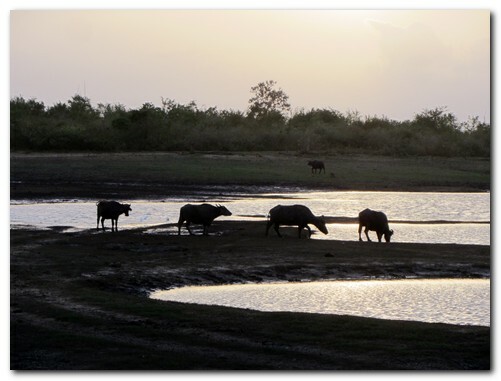 As we headed west along the south coast of Sri Lanka, the dry thorny forest of Yala gradually changed to lush and wet tropical with palm fringed coves and bright green rice paddies. 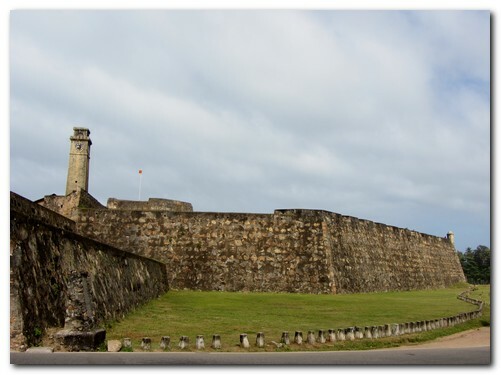 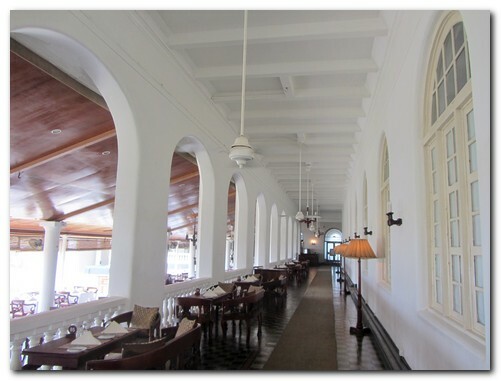 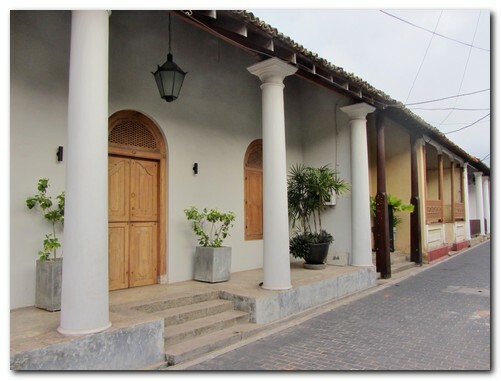 Galle, occupied by the Portuguese in 1619, expanded by the Dutch from 1640 and further developed by the British from 1796, is home to the World Heritage Fort “Santa Cruz”. 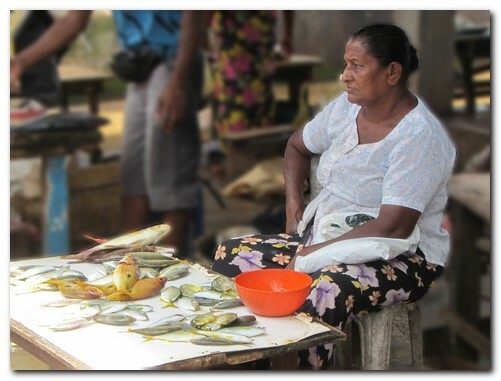 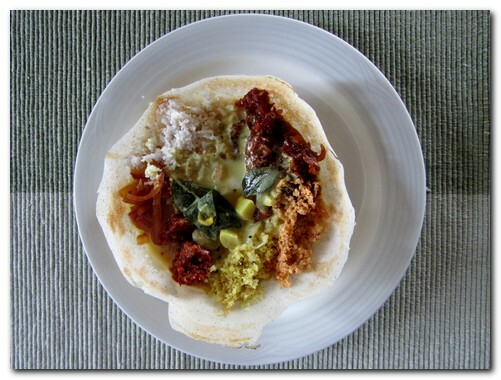 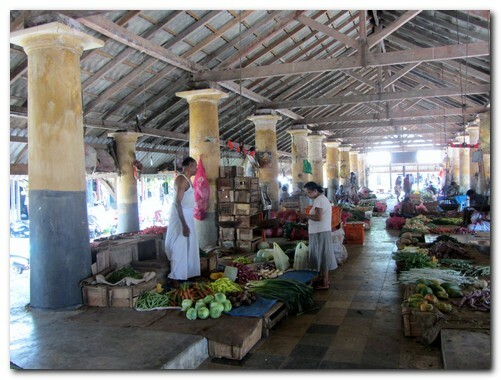 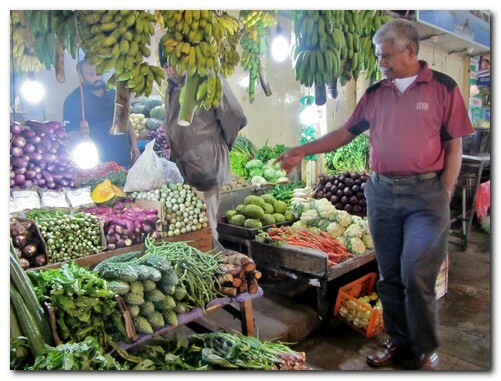 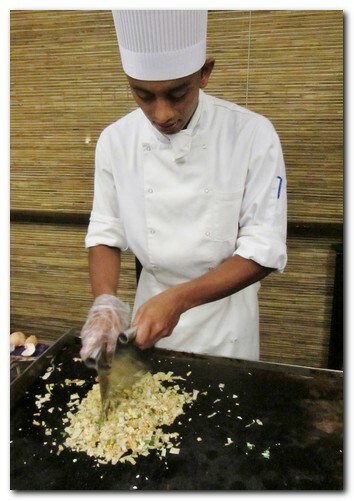 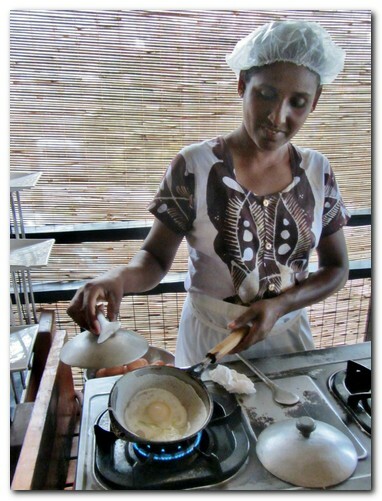 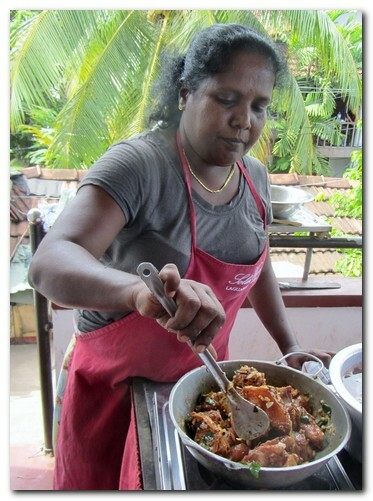 We enjoyed our day’s cooking class with Karuna, starting at the Galle market to buy the ingredients and spices. 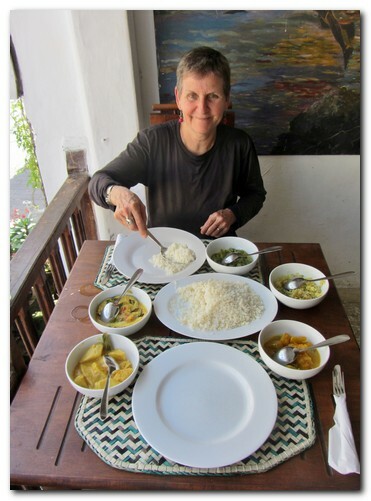 She is a lively humorous woman and a great teacher. 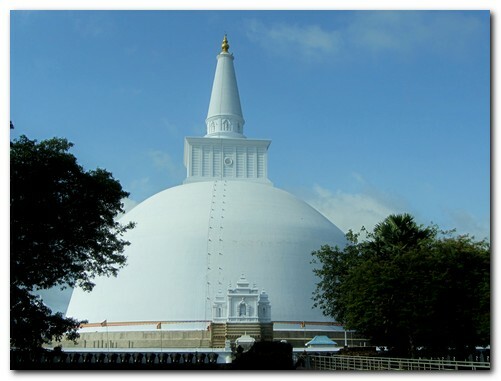 Colombo is the commercial and administrative capital of Sri Lanka; a city of contrasts from the quiet tree lined embassy district with its colonial buildings to the bustling modern traffic snarled streets. 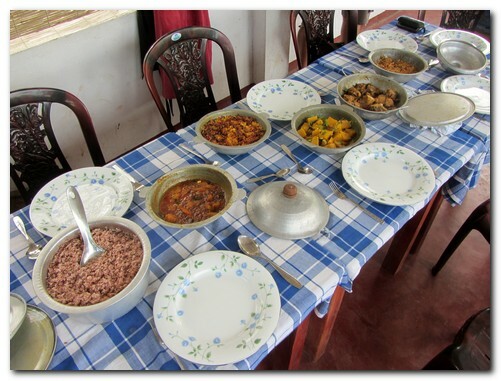 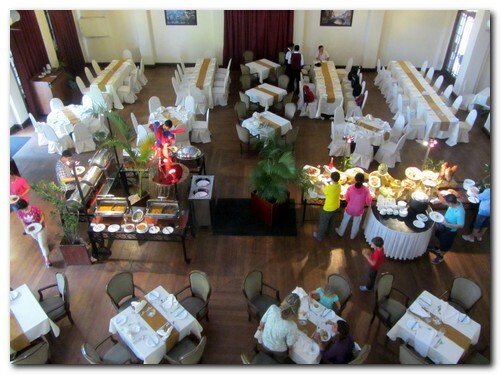 But we were here for the lampries, the only traditional Sri Lankan dish we hadn’t yet tried. 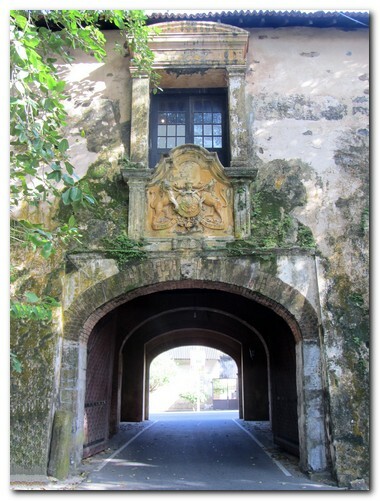 Anton rang ahead to the Dutch Burgher Union to put in our lunch order. 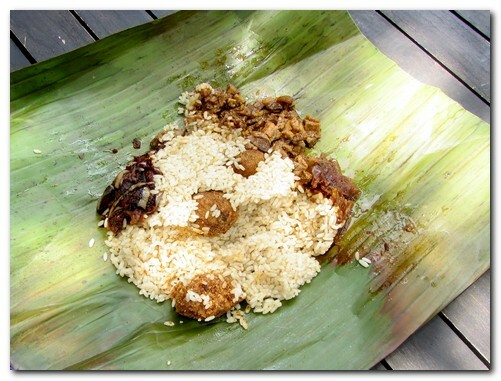 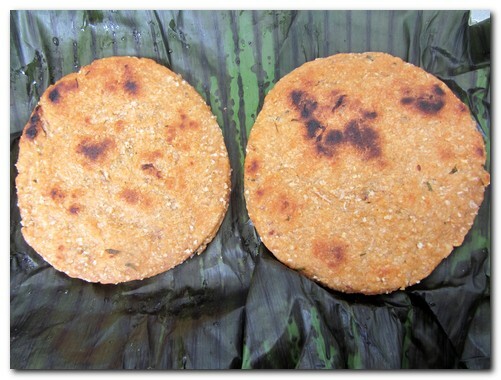 Lampries (Dutch for “Lump of Rice”) are much more than a mixture of curry and rice wrapped in a banana leaf . 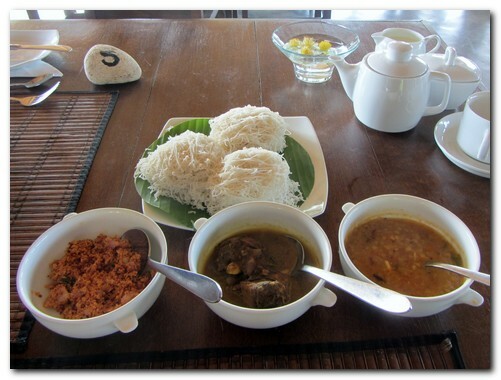 There is a multitude of flavors – rice cooked in stock; eggplant curry; pork, beef, and mutton curry; some sambal; a paste made with dried fish, onions, lime, salt and spices – all steamed in a banana leaf and delicious! 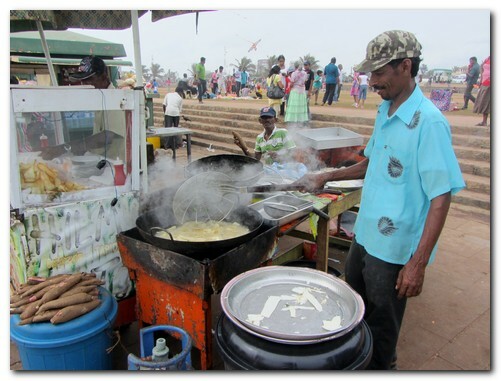 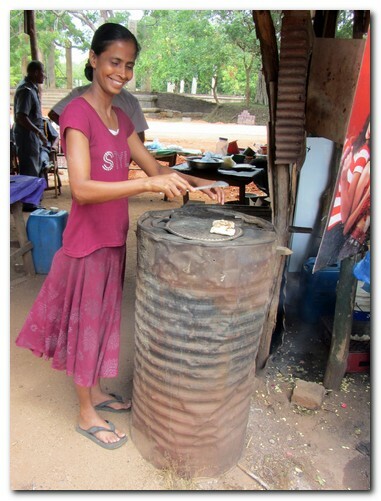 Making manioc chips at a street stall on the Green by the Indian Ocean – they taste great! 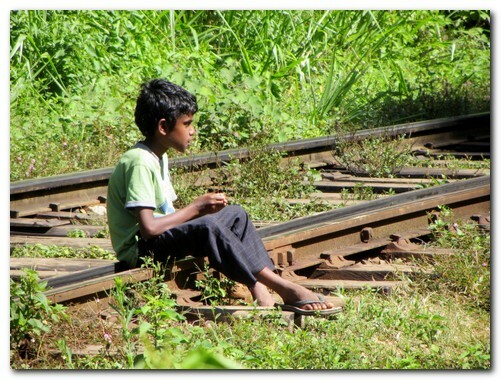 And so our trip to Sri Lanka comes to and end. 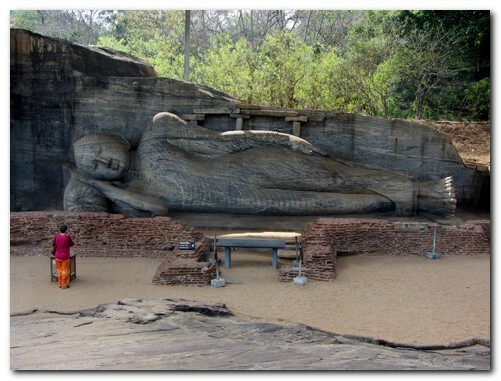 Thanks to Exotic Lanka Holidays for organizing it all. 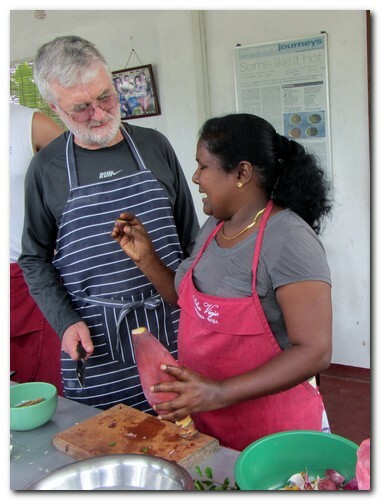 And especially thanks to Anton – our wonderful driver, guide, companion and teacher for the last two weeks. 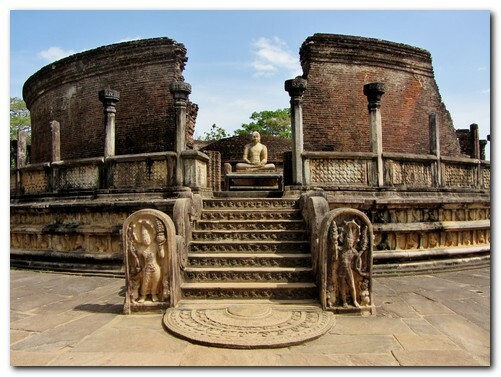 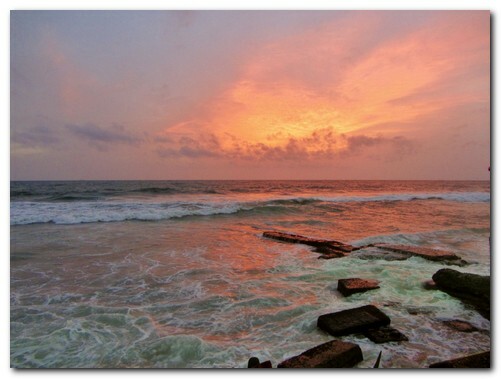 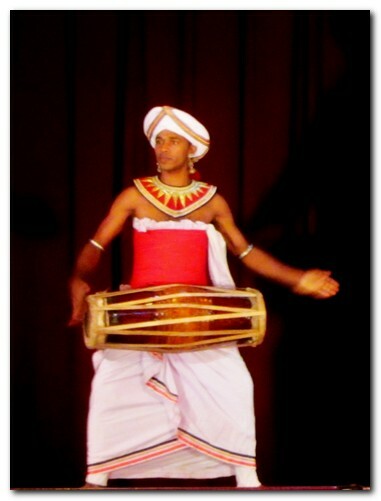 Sri Lanka | Powered by Mantra & WordPress.